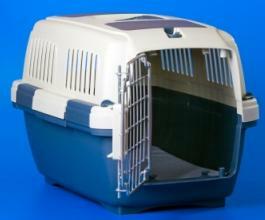 Crates for dogs can be used for crate training a dog for potty training, as a warm and cozy bed for your pet, for car traveling and for pet air travel when your poodle is flying on a plane with you. When you purchase a crate, it's not your poodle's home. It's used for puppy naps, to give him his own space to get away and relax knowing he's safe in there, and that it is his alone. He should be crated for no more than 4 hours at a time - even if you are dog crate training - unless this is where he sleeps overnight. It's not fair to keep him in the crate for long hours when he can be out interacting with the family. Crates are an essential item you need for your pooch. You also need a bed for your puppy to sleep in, a collar with id tags, a leash to walk him and lots of toys for him to play with! Check in your local pet store or discount store for cheap dog supplies and cheap pet supplies, especially when they are having sales. 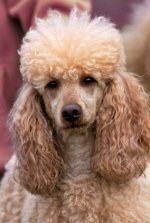 If you have to go out, you can have peace of mind knowing your poodle is safe in his crate. 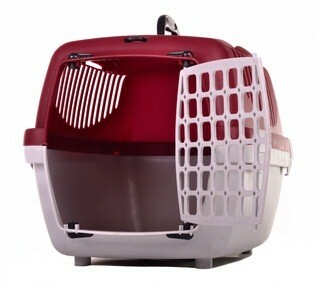 And if he's coming with you in the car, you can take the crate with you for car rides. There are plastic and wire crates. Plastic crates will keep her warmer, are safest for car traveling but are hotter for her in the summer. Wire crates are cooler in the summer, have a removable tray on the bottom for easy cleanup, and a panel that you can change for more room as your puppy grows. Make sure the crate gives your poodle room to stand up and turn around. Dogs love a place they can call their own, and a crate has many practical uses. Your puppy will find it relaxing and peaceful to nap in a place where he feels safe, loved and secure.